MiLB Playoff Action: Bad News Ems Win Game 1!!! It was a weird night. To begin, the Ems wore their road tie-dyed jerseys and gray pants at their home field. Spokane was the home team due to a fair being held at their ballpark. Add in the fact that the sun was still on the field when the game began, I was all out of sorts. The game began with Andy Weber returning to the lineup after missing about a week. He hit the first pitch he saw in right center for a fly out and the series was underway. Nelson Velazquez singled but was forced out on a grounder by Luke Reynolds who was then forced at second on a Levi Jordan grounder. On to the bottom of the first. Riley Thompson got off to a good start to begin his night. A two-pitch AB will do that as he coaxed a grounder to second base. He got his first K on the night with a mix of fastballs, keeping his offspeed in his back pocket. I like when a pitcher does that the first time through the order. He was sitting at 95 when he gave up a line that barely glanced off the diving glove of SS Luis Vazquez. There went the no-hitter. Thompson got the next guy to hit a soft liner to Vazquez to end the inning. 12 pitches is a good start. The top of the second didn’t see much action. Jonathan Sierra grounded out to begin the inning. After Grant Fennell just missed a HR by a few fact, he got caught looking. Fernando Kelli flied out to left to end the frame. At this point, the Ems were making contact, just right at someone. After almost losing the first hitter in the second, Thompson put the ball in the zone to get a groundout to Vazquez at short. The next at bat saw Thompson use 9 pitches to get a K to make it two outs. Thompson picked up his third K to end the inning as he began using his slider some more. He sat at 30 pitches through 2. Catcher Caleb Knight singled to begin the third. Luis Vazquez then tried to push a bunt for a hit down the first base line. The pitcher couldn’t get it done and the Ems had men on first and second with nobody out. Andy Weber smoked the first pitch again but it went right to the shortstop who was playing behind the bag. The double play didn’t end the inning as Knight made it to third. It was up to Nelson velazquez to get Knight home. velazquez hit a ball back up the middle but the shortstop again was positioned perfectly to end the rally. Two pitches into the bottom of the third and Thompson had his first out. Strike out #4 soon followed and he was through the order the first time. Another two pitch at bat ended when the batter flew out to Kelli in center. Thompson looked like a world beater at this point sitting 94-95 regularly. HIs slider was a bit inconsistent, but his fastball was hard to square up. In the top of the fourth, the Ems hitters started getting a little antsy and they were not grinding out at-bats as Engler of Spokane through just 7 pitches that inning. It seemed like Thompson sat down only to go back to the mound and it showed. Spokane’s Juan Pablo Martinez took Thompson deep to stake the Indians to a 1-0 lead. After a strikeout, another ball left the yard by Diosbel Arias made it 2-0. Hopefully, the offense could get the Ems back in it in the top of the fifth and give Thompson some time to relax. After a Fernando Kelli doubled in the fifth, he moved to third on a Caleb Knight groundout. Luis Vazquez beat out a ball to deep SS to get the Ems on the board and halve the lead. Andy Weber then singled on the first pitch and Vazquez was standing 90 feet from tying it up. This time, Nelson Velazquez ripped his second single of the night to tie it up. Now with men on first and second, the Ems had a chance to take the lead. However, Luke Reynolds gave the ball a ride, but it was not enough to get out. Thompson came back in the bottom of the inning sitting at 52 pitches. After a pop up, Thompson struck the second batter out but the ball slipped past Caleb Knight and the Indians were back in business. Then after a 13 pitch at-bat by Jax Biggers resulted in a single to right, Thompson was done after 71 pitches. Derek Casey came in to relieve Thompson. 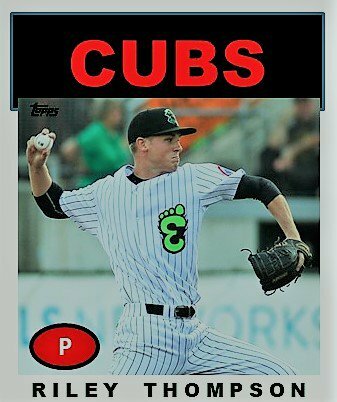 Casey, the Cubs’ 9th round pick out of Virginia this summer, had been severely limited as to how much he could pitch this year, struck out his first batter and Luis Vazquez then tracked down a pop up to shallow center. Grant Fennell managed a single in the top of the 6th but the Ems’ offense looked to be stuck in mud again. After Derek Casey took care of the Indians again, another inning flew by when Cam Sanders replaced Casey in the bottom of the seventh. A leadoff walk is usually a harbinger of bad juju. Somehow, Sanders got the next guy to ground the ball to Vazquez to get the lead runner at second. When Sanders was able to get the next batter to strike out, the runner tried to steal second and Knight skipped the throw into center to put a man at third. Sanders was able to get out of the inning with a grounder to second and a nice scoop at first by Grant Fennell. 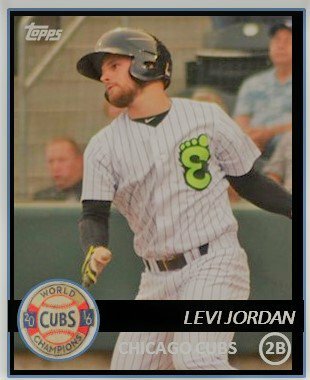 In the top of 8th, it looked to be another nondescript inning until Levi Jordan took a 2-2 pitch to left and it got out in a hurry to give the Emeralds a 3-2 lead heading to the bottom of the 8th. 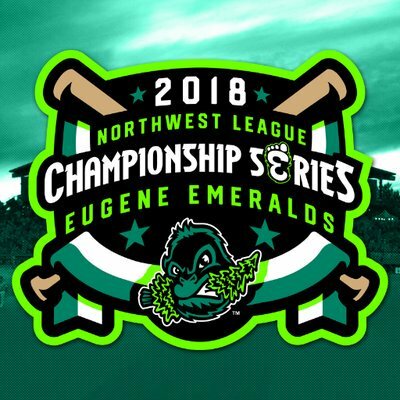 Ivan Medina came in for the Emeralds to keep the lead. The first batter struck out after an exciting foul ball that saw catcher Caleb Knight fly into the opposing dugout in an attempt to to catch the ball. Medina got the next guy to strike out, too. Andy Weber ended the inning by catching a smoking hot liner at third base. To begin the ninth, Grant Fennell took a four pitch walk to get things going. Fernando Kelli flew out to right for out #1. and Caleb Knight popped up on the infield for #2. Luis Vazquez ended the inning with a pop up. Three outs remained and the Ems would own a 1-0 lead. After getting a ground out to begin the frame, Medina gave up a single. Then in a controversial call, Andy Weber caught a ball leaning into the dugout and then dropped it on a transfer but the out stood. However, because the ball went out of play, the runner on first was awarded third base. There couldn’t be any more drama. Two outs, man on third. What could happen next? A ground ball to Luis Vazquez ended the game as he threw calmly to first for the final out. Wow! When things are going your way, they keep going. Winning game 1 for Eugene is essential because Eugene was basically the road team as Spokane had last at-bats and will do so again tomorrow. The Ems will then be the home tomorrow for the rest of the series. Lefty Jack Patterson, who pitched mostly in Mesa this summer, will take the ball in his second appearance for the Emeralds. He has a 2.83 ERA on the season with 33 Ks in 35 IP. Gametime moves to 9 pm Central tomorrow night. ‹ PreviousEugene Championship Preview: Chances Are Good for Another Title! Next ›MiLB Playoff Action: Game 2 Shutout Puts Ems on the Brink of a Title!